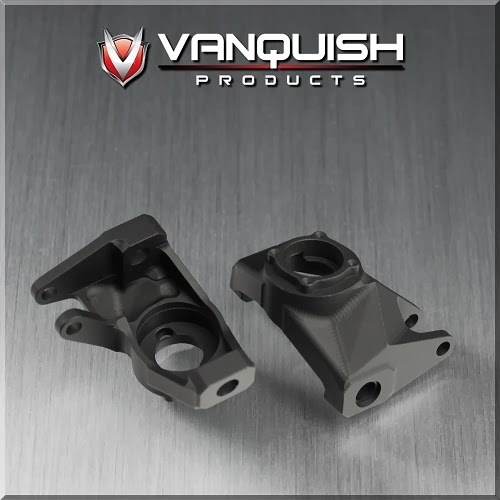 Vanquish Products has new scale knuckles and c-hubs for the Axial Wraith. Pictured above is the Wraith Scale Knuckle. The new scale knuckles are available in three colors: Silver (part# VPS07001), Gun Metal (VPS07002), and Black (VPS07003). 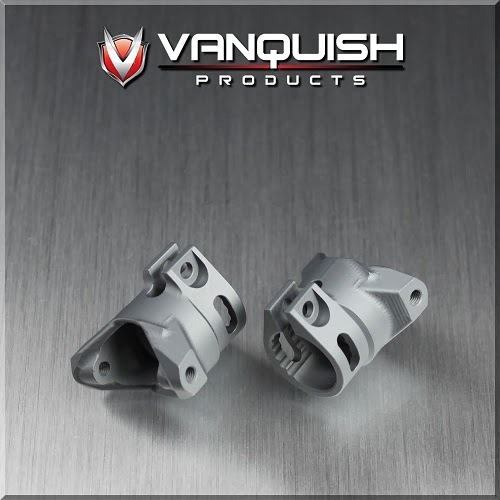 Vanquish Products Wraith Scale Knuckles. 3d cnc machined to look like a popular 1:1 race knuckle. 1/3 weight reduction from stock VP wraith Knuckles. Works with vanquish wraith titanium tie rod VPS03110. will require unscrewing rod end 1 to 2 turns, revised tie rod coming soon. Works With Standard Axial Stock and Vanquish Wraith chubs. Next is the new Wraith Scale C-Hubs. The scale c-hubs are available in three colors: Silver (Part# VPS07011), Gun Metal (VPS07012), and Black (VPS07013).